BT will invest £1.5 billion in installing fibre optic lines capable of 100 Megabits per second for its customers' broadband services, and hopes to convince Ofcom to drop its 'current barriers to investment'. BT will finance the work by suspending its buyback of shares and potentially a raise in prices, and invest heavily in the fibre optic technology that allows much greater bandwidth. The new fibre optic network will be available for BT's customers, but will also be sold wholesale so that other broadband providers can offer the service. 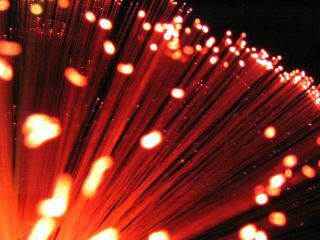 Fibre optic cable is already a reality in the UK with Virgin Media currently offering the service. Virgin is bringing a 50Mbps later this year and also trialling 100 Mbps lines. The need for an improved infrastructure is becoming increasingly pressing across the UK which is lagging behind its European neighbours and miles adrift of the likes of Korea. BT's focus on its broadband services is also heavily dependent on improved infrastructure, with the success of its TV on demand service BT Vision and its new Home Hub – announced on Monday – reliant on new take-up.